New Ideas in…: Yugoslav Attack, Dragon Sicilian (8 part series). B76, B77, B78: Sicilian: dragon, Yugoslav attack, 7...O-O ; Sicilian: dragon, Yugoslav attack, Rauser variation ; Sicilian: dragon, Yugoslav attack, 10.O-O-O ; Sicilian: dragon, Yugoslav attack, 9...Bd7 ;. In the latest of his "New Ideas in...." series for ICC Chess.FM, GM Ronen Har-Zvi investigates the latest developments and trends in the ultimate test of the Sicilian Dragon, the Yugoslav Attack with 1. e4 c5 2. Nf3 d6 3. d4 cxd4 4. Nxd4 Nf6 5. Nc3 g6 6. Be3 Bg7 7. f3 0-0 8. Qd2 Nc6 9. Bc4. The Sicilian Dragon is back in vogue once again thanks to its recent addition to Magnus Carlsen's ever-growing arsenal. Years ago, Bobby Fischer gave his seal of approval to the Yugoslav attack, stating it was simply a case of preying open the h-file and sac, sac...mate! But this caveman approach in the Yugoslav Attack is well-worked out, as GM Ronen Har-Zvi shows that the Dragon still breathes fire for black with plenty of counter-play. New Ideas in…: Yugoslav Attack, Dragon Sicilian (8 part series). B76, B77, B78: Sicilian: dragon, Yugoslav attack, 7...O-O ; Sicilian: dragon, Yugoslav attack, Rauser variation ; Sicilian: dragon, Yugoslav attack, 10.O-O-O ; Sicilian: dragon, Yugoslav attack, 9...Bd7 ;. In the latest of his "New Ideas in...." series for ICC Chess.FM, GM Ronen Har-Zvi investigates the latest developments and trends in the ultimate test of the Sicilian Dragon, the Yugoslav Attack with 1. e4 c5 2. Nf3 d6 3. d4 cxd4 4. Nxd4 Nf6 5. Nc3 g6 6. Be3 Bg7 7. f3 0-0 8. Qd2 Nc6 9. Bc4. The Sicilian Dragon is back in vogue once again thanks to its recent addition to Magnus Carlsen's ever-growing arsenal. 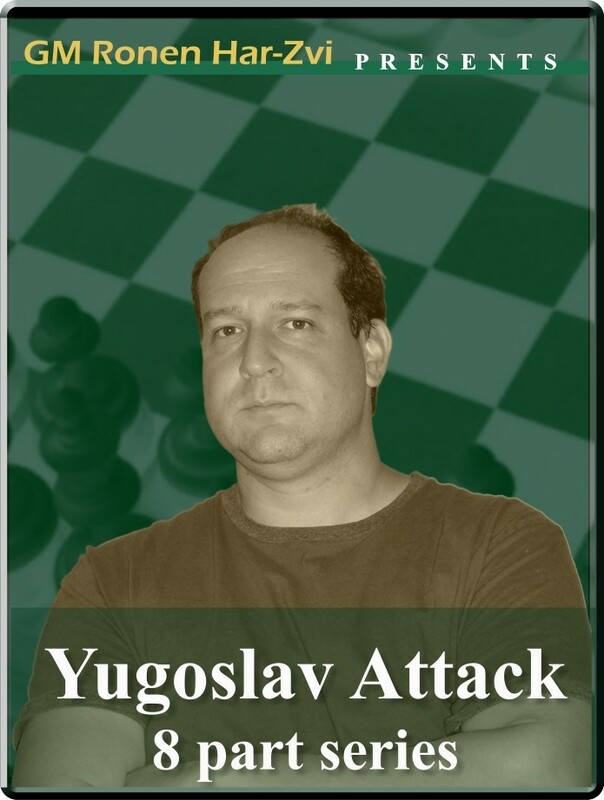 Years ago, Bobby Fischer gave his seal of approval to the Yugoslav attack, stating it was simply a case of preying open the h-file and sac, sac...mate! But this caveman approach in the Yugoslav Attack is well-worked out, as GM Ronen Har-Zvi shows that the Dragon still breathes fire for black with plenty of counter-play.